Elastic compression knee sleeve with silicone hex-buttress opening. 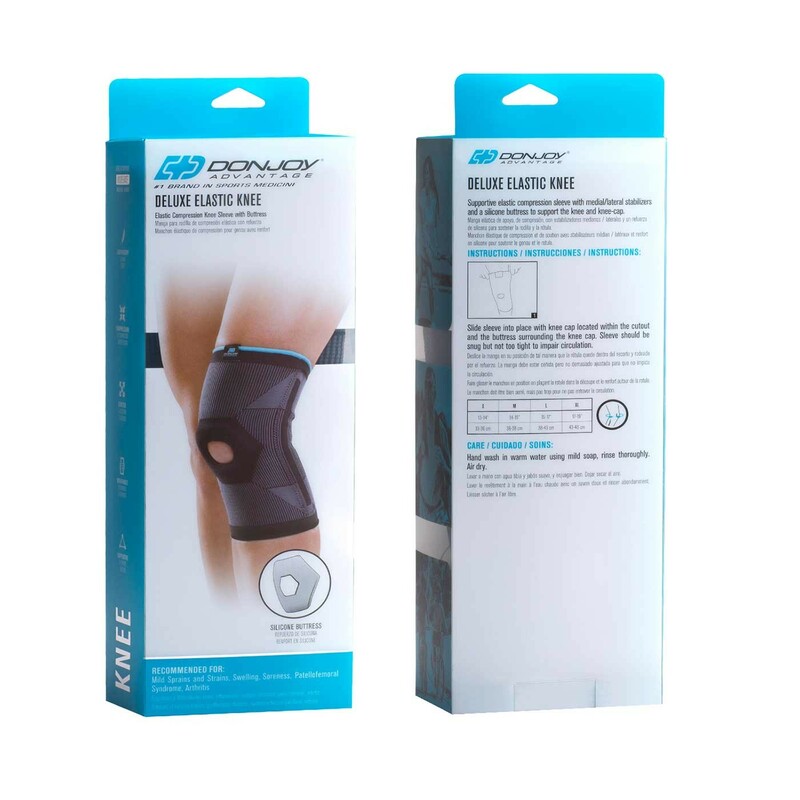 The DonJoy Advantage Deluxe Elastic Knee is a supportive, elastic knit compression sleeve with medial and lateral stabilizers. 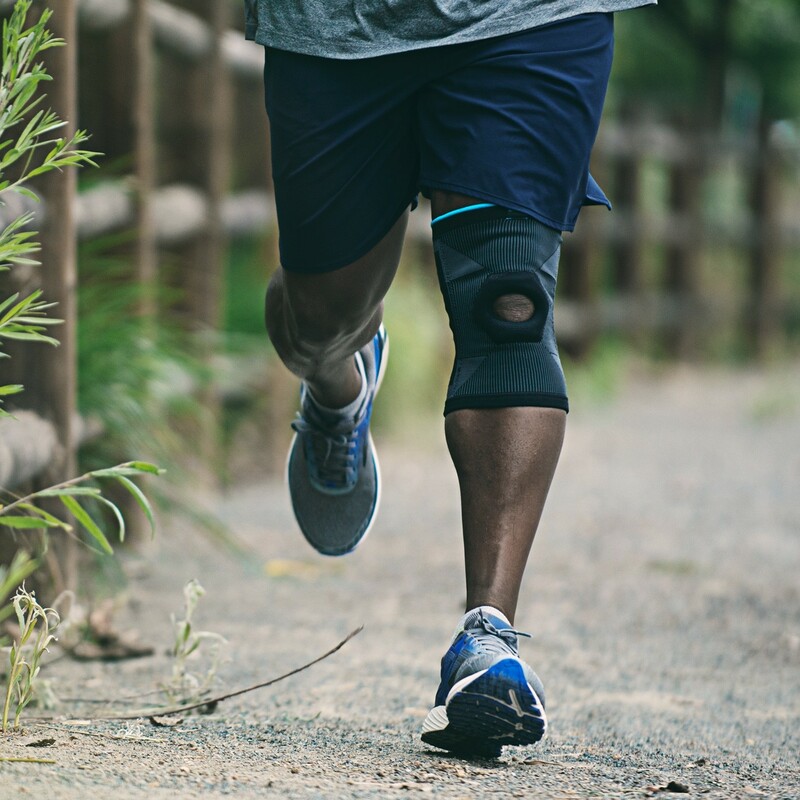 Breathable and low-profile, this knee sleeve is constructed with a silicone hex-buttress to support the knee and knee-cap while reducing pain and discomfort associated with mild knee sprains, strains, swelling, soreness, arthritis or Patellofemoral Syndrome. 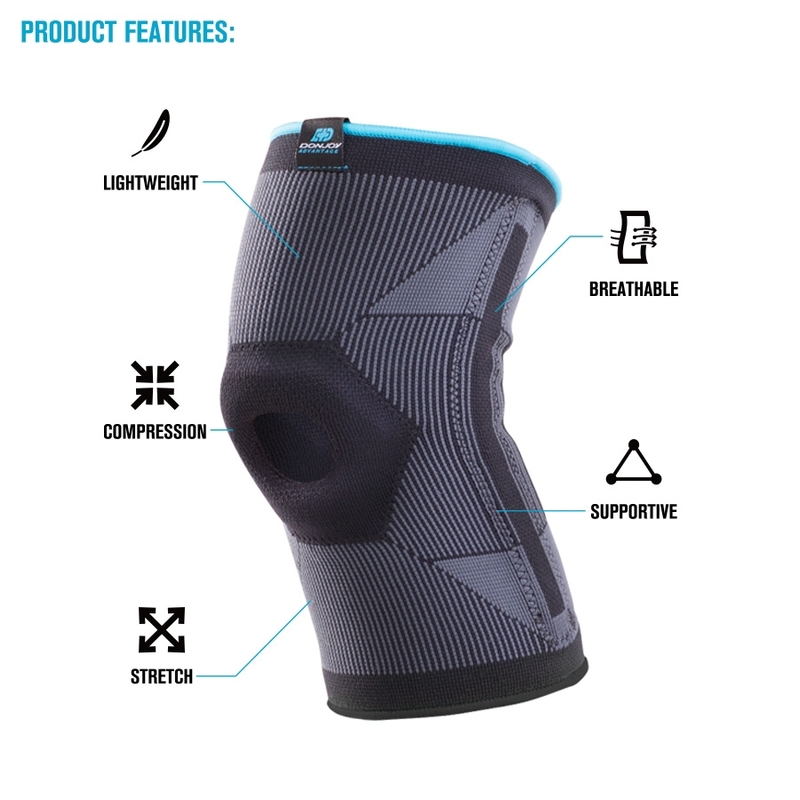 Designed with expansion panels, this knee sleeve won't limit range of motion, allowing you to move freely in complete comfort. Delivering moderate support, the Deluxe Elastic Knee can be worn during daily activities and fits the right or left knee. Size is based on the circumference of the knee. Measure around the center of your knee.